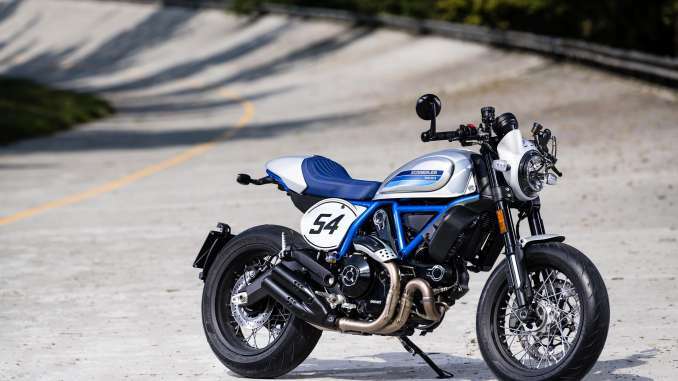 The Ducati Scrambler Café Racer is the Scrambler interpretation of the legendary ’60s bikes that triggered a motorcycling revolution of free spirit and style. 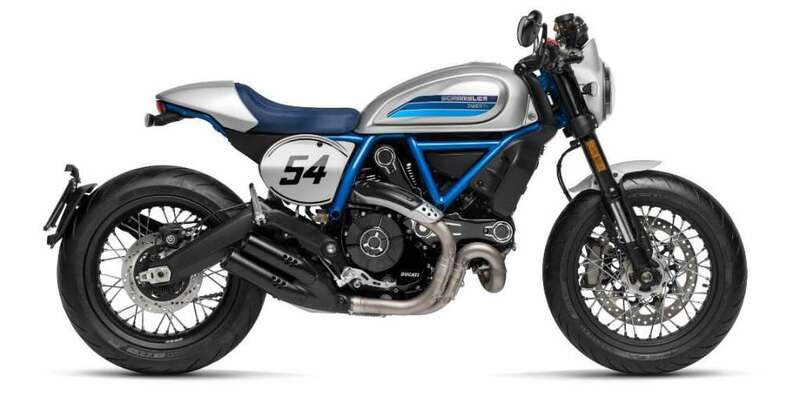 With its new Silver Ice Matt livery and blue frame, the Scrambler Café Racer recalls Ducati sports bikes of the past such as the 125GP Desmo. Back in the ’60s, in London, a bold, forward-thinking group of young motorcyclists, the “Ton–Up Boys” of the Rocker movement, began setting up their bikes to win the sprint from one café to the next (each race was supposed to last as long as a Juke Box track). 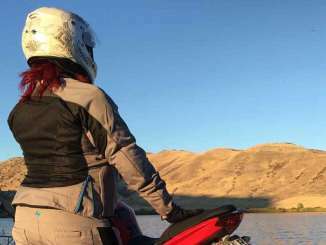 Since then, the Café Racer culture has gone global. Ducati Scrambler and the Café Racer culture share a style that extends beyond the bike to apparel and accessories. 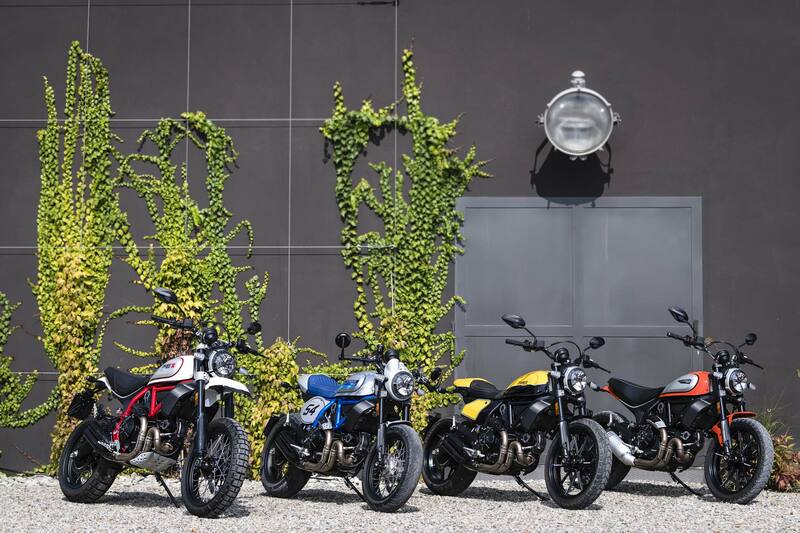 Now, the Ducati Scrambler Café Racer offers a fresh take on what was one of motorcycling’s most influential movements. 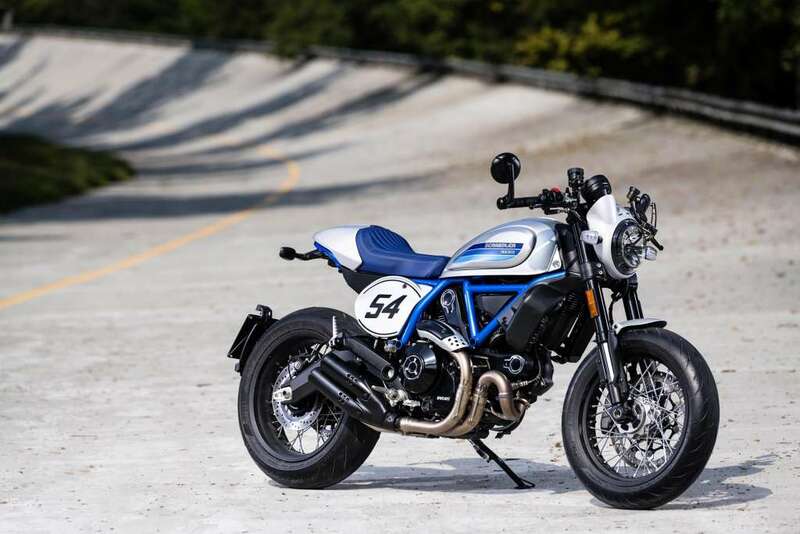 The new 17″ wheels with Pirelli DIABLO™ ROSSO III tyres (120/70 ZR 17 at the front and 180/55 ZR17 at the rear) play a pivotal role on this more-Scrambler-than-ever version, which also provides plenty of scope for personalisation. Mounted on the handlebar ends, the aluminium rear-view mirrors are inspired by the ’60s race look. A modern radial front brake pump provides performance on a par with that of a sport bike. 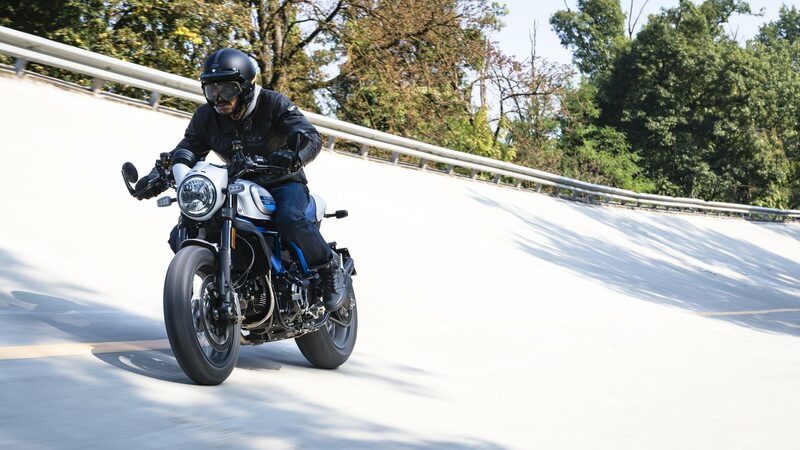 And that’s not all: the exhaust, with its dual tailpipe and black painted aluminium cover, the nose fairing and stubby mudguard are all clear references to the bikes that roared down British streets in the ’60s. Lastly, the lateral number holders feature the number 54 in honour of Bruno Spiaggiari.